Gionee’s next generation M7 smartphone is said to have a bezel-less design, similar to the iPhone X and Galaxy Note 8. The company took to Weibo to announce the September 25 launch date of the M7. Gionee’s next generation M7 smartphone is expected to have a bezel-less design, similar to the iPhone X and Galaxy Note 8. The company took to Weibo to announce the September 25 launch date of the M7. The event will take place in China, the company said. Gionee has been working on the M7, which also happens to be its first bezel-less smartphone, for a while now. The company even though remains tight-lipped on everything about the M7, but there’s plenty of information already known to us. Based on the teaser poster, Gionee M7’s screen appears to look even bigger and the bezels nonexistent. Just like the Galaxy Note 8, there’s hardly a bezel to speak of on the top and bottom. 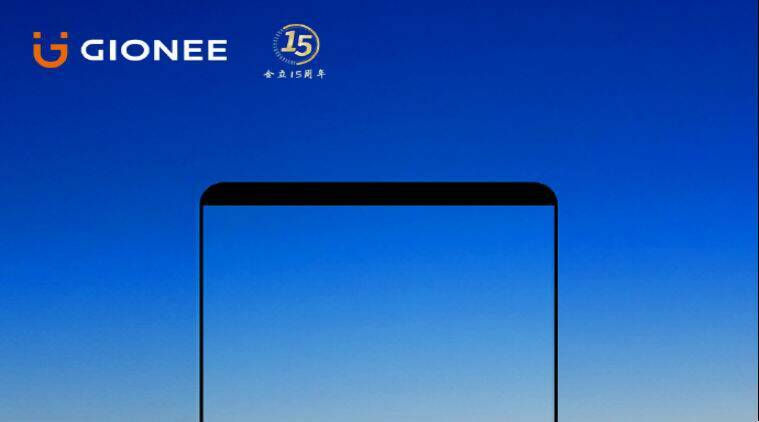 Other than the almost bezel-less design, the teaser image doesn’t give any information about the smartphone However, based on previous leaks, Gionee M7 is said to be a high-end phone. The M7 is anticipated to feature a 6-inch Full HD display with a resolution of 2160 x 1080 and an aspect ratio of 18:9. Under the hood, it is said to be powered by a MediaTek Helio P30 processor coupled with 6GB RAM and 64GB storage. On the camera front, the device will sport a 16MP primary camera on the back and an 8MP selfie shooter in the front. The phone will run Android 7.1 Nougat with the company’s preparatory user interface over the top. Gionee is going to launch the M7 at a time when a number of companies are launching their flagship smartphones with bezel-less designs. Earlier this week, Xiaomi took everyone by surprise when it launched the Mi Mix 2 with a bezel-less display. The Mi Mix 2 succeeds the original Mi Mix, which was launched in China last year. Meanwhile, Apple also launched the iPhone X, the company’s most advanced smartphone with an all-screen design, facial recognition technology and wireless charging.